Join RSA Essex on 17th July for a special "Street Wisdom" event encouraging us all to discover the wisdom of the streets of Chelmsford. 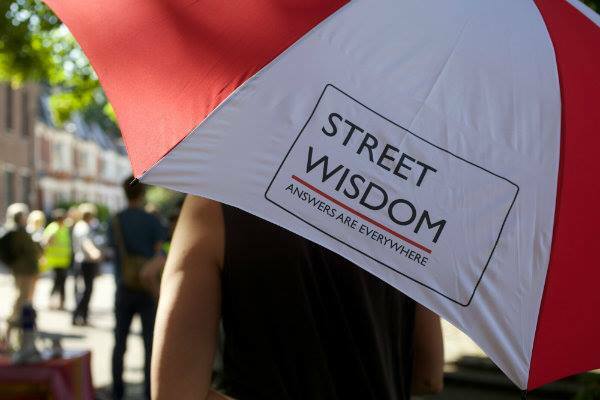 To lead the session we'll be joined by Jane Parslow FRSA, an experienced Street Wisdom Guide. Street Wisdom is a global movement based on walking based problem solving and will encourage us all to look at the familiar with fresh eyes! We'll all take to the streets with a question on which we'd like to seek new perspectives so you may wish to think about your question in advance. This event is hosted by the RSA Essex Fellows but is open to all so please sign up if this intrigues you, invite friends and spread the word #RSAEssex We'll start and end at The Transition, beginning promptly at 6pm. We'll spend around 2 hours outside so please dress for the weather and wear comfy shoes! The Transition is very close to Chelmsford Station. The nearest car parks are Coval Lane or Railway Street which each cost £1 after 5.30pm." If you have any queries please email Nikki (nikki.es.alf@gmail.com) or Andy (andy@the-transition.co ). Please let us know you’re coming by booking your place (above). Location: The Transition, The Anne Knight Buildings, Fenton Court, City Park West, Chelmsford CM1 1LW (opposite Chelmsford Rail Station).